Website Development - Baztech Incorporated (Pvt) Ltd.
Baztech will build corporate website for your unique business, which will be help your business for making identity in global market, and get business from global market. 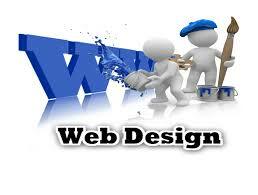 We will develop Static as well as dynamic website using below technology and also provide web hosting. Why Website Needed? Now a days more and more people are looking to the web for the products and services they need. Consumers want to be able to access products and services online and businesses have to obey consumer expectations! The Internet is the most economical and efficient way to do business. There are numerous advantages for your business to be online. Cost Savings and increasing your bottom line! A Professionally developed web site keeps more money in your pocket. Think of your website as a workforce multiplier. Your website can enhance numerous aspects of your business. Enhance your company's marketing activities. Because your website provides a showcase of everything your company has to offer placing your company's web address on everything that comes into contact with the public is a great way to enhance your marketing.